Does This Grim Kate Middleton Photoshop Foretell the End Times? 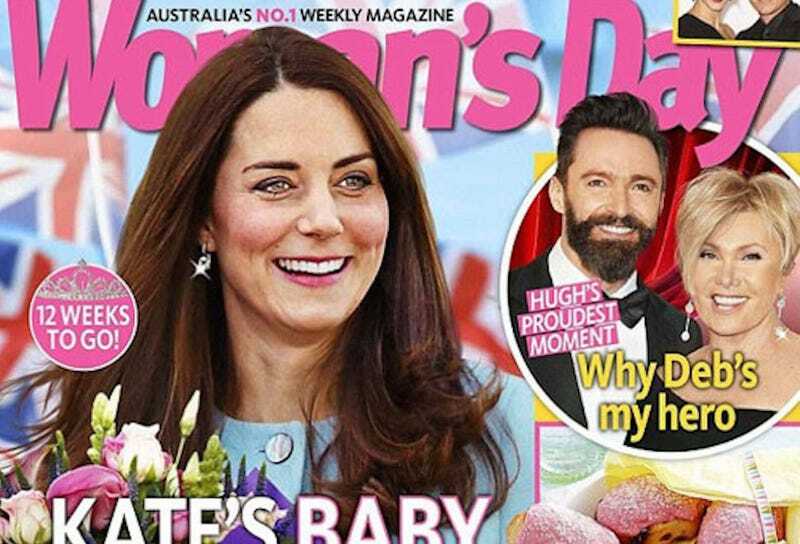 Everyone is flipping out over this "photoshop fail" by Australia's Women's Day, in which Kate Middleton's face is reconfigured to sport the pale skin, bright eyes, flushed cheeks of a dying consumptive. "12 weeks to go!" Woman's Day chirps, "...UNTIL WE ALL LOOK LIKE THIS." The clues are everywhere. The countdown. The sparkly earring to grab our attention. Hugh and Deb. A plague is very clearly imminent, and this humble Australian tabloid is giving us a heads up in the only way they know how.